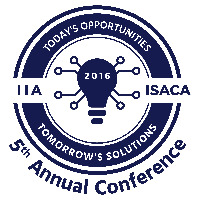 We would like to invite you to join us for the 5th Annual IIA/ISACA Full Day Training Event on June 7, 2016! Five speakers will be presenting at this event, which will include two dynamic keynote speakers. Topic: Internal Audit: Today's Opportunities and Tomorrow's Solutions"
Jim has more than 15 years of internal auditing experience in both the public and private sectors. In his current role as the Vice President of Professional Solutions for The IIA, he provides direction for The IIA’s Audit Executive Center, the Financial Services Audit Center, the American Center for Government Auditing, the Environmental, Health and Safety Audit Center, and IIA Quality Services. Prior to joining The IIA, Jim served as City Auditor for the city of Palo Alto, CA and was the Chief of Audits for the County of San Diego. His diverse auditing experience also includes roles at the California State University System, PETCO Animals Supplies, Inc., State Street Corporation, and General Electric. While serving as a senior audit manager for the County of San Diego, Jim won The IIA’s prestigious John B. Thurston Award for outstanding paper in the field of internal auditing for his article “Adding Risk Back into the Audit Process.” His new book titled “Collaborative Auditing” is available through The IIA Research Foundation. Kevin McCarthy is CEO of the 360 Narrative Group, a brand development and digital design agency. In addition, Kevin is the incoming 2016-17 President for the National Speakers Association Oregon chapter, where he recently won a Member of the Year award. Kevin began his professional speaking career in 1994 while he owned the 13th largest Century 21 office in the USA, and held a position on the Board of Directors for the Phoenix area Century 21 franchisees. Thriving as a speaker, he sold his real estate company and began traveling the country helping industry leaders position themselves for a brave new World Wide Web. During his extensive travels, Kevin developed a web-based software solution that would position his real estate clients for optimum success. He eventually sold that company for a substantial sum during the craziness of the dot com era. Kevin continues to work with industry leaders to uncoverthe blindspots that affect their behavior and hinder their influence. Raven Catlin is a speaker, and consultant in Risk Management and Internal Auditing. She has over 17 years of internal audit experience and 13 years of seminar instruction and facilitation. Through her lively and interactive seminars and presentations, yo Raven Catlin, CPA, CIA, CFSA, CRMA is an internationally recognized expert, u will gain valuable skills, motivation, and belief systems to achieve success. Raven is a graduate of Virginia Commonwealth University. 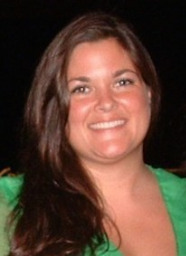 Before starting Raven Global Training in 2006, Raven was a Consultant for Jefferson Wells and a Senior Manager at Protiviti. She held internal audit positions with Freddie Mac, Bank of America (formerly NationsBank), and Philip Morris. Raven is an active member of the IIA, including serving as District Representative for the Caribbean and Washington DC Metro chapters. She also served in President, Board Member, and chairperson positions for the Northern Virginia and Charlotte chapters since 1998. Raven is a contributing author to IIA’s CIA Learning System and has been published in Internal Auditor. Jeff Cornelius joined Darktrace in February of 2014 as EVP. His background with large Enterprise Software organizations over the past 14 years lends itself to the needs of a young, innovative, market-defining organization from a Commercial standpoint. Jeff oversee the global, strategic direction of Darktrace’s Industrial Immune System solution tailored specifically for Critical Infrastructure Protection. Prior to joining, Darktrace, Jeff held Executive Commercial positions with Viewpointe and Autonomy. Prior to these, Jeff taught at the University of Texas and New Mexico State University where he held adjunct positions in Experimental Psychology (Social, Cognition, Perception) and Experimental Statistics. Wesley serves as the director of cyber operations for HORNE Cyber Solutions. Known for his work in offensive information security and cyber operations, Wesley specializes in penetration testing, network vulnerability analysis, exploit development, reverse engineering of malicious software and network traffic analysis. Wesley is the author of penetration testing and forensics tools currently used by many practitioners. He is a repeat presenter at DEF CON and former lecturer at Blackhat USA. He has lectured for the MSU National Forensics Training Center, which provided digital forensics training to law enforcement and wounded veterans. He teaches a self-designed course on reverse engineering to students at Mississippi State University, using real-world, high-profile malware samples, as part of gaining National Security Agency (“NSA”) CAE Cyber Ops certification for the university. Wesley graduated from Mississippi State University’s Department of Computer Science and Engineering and the Distributed Analytics and Security Institute. He holds a Ph.D. in computer science for his research in vulnerability analysis of SCADA HMI systems. For more information about this event follow us on our Facebook, Twitter and YouTube accounts! 1) Cancelations can be made for this event until Friday June 03, 2016 at 3:00PM without any charge. 2) If registration is canceled after 3:01 PM on June 03, 2016, then the full registration fee must be paid to the IIA Memphis Chapter. 3) Individuals that have registered and is a no show the full registration fee must be paid the IIA Memphis Chapter. These terms & conditions must be accepted in order to complete registration for this training event. Bio: Jeffrey Cornelius, Ph.D. Jeff Cornelius joined Darktrace in February of 2014 as EVP. His background with large Enterprise Software organizations over the past 14 years lends itself to the needs of a young, innovative, market-defining organization from a Commercial standpoint. Jeff oversee the global, strategic direction of Darktrace’s Industrial Immune System solution tailored specifically for Critical Infrastructure Protection. 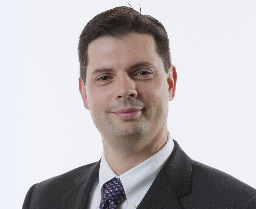 Prior to joining, Darktrace, Jeff held Executive Commercial positions with Viewpointe and Autonomy. Prior to these, Jeff taught at the University of Texas and New Mexico State University where he held adjunct positions in Experimental Psychology (Social, Cognition, Perception) and Experimental Statistics. Bio: Jim Pelletier, CIA, CGAP Jim has more than 15 years of internal auditing experience in both the public and private sectors. In his current role as the Vice President of Professional Solutions for The IIA, he provides direction for The IIA’s Audit Executive Center, the Financial Services Audit Center, the American Center for Government Auditing, the Environmental, Health and Safety Audit Center, and IIA Quality Services. Prior to joining The IIA, Jim served as City Auditor for the city of Palo Alto, CA and was the Chief of Audits for the County of San Diego. His diverse auditing experience also includes roles at the California State University System, PETCO Animals Supplies, Inc., State Street Corporation, and General Electric. While serving as a senior audit manager for the County of San Diego, Jim won The IIA’s prestigious John B. Thurston Award for outstanding paper in the field of internal auditing for his article “Adding Risk Back into the Audit Process.” His new book titled “Collaborative Auditing” is available through The IIA Research Foundation. Bio: Robert W. McGrew, Ph.D. Wesley serves as the director of cyber operations for HORNE Cyber Solutions. Known for his work in offensive information security and cyber operations, Wesley specializes in penetration testing, network vulnerability analysis, exploit development, reverse engineering of malicious software and network traffic analysis. Wesley is the author of penetration testing and forensics tools currently used by many practitioners. He is a repeat presenter at DEF CON and former lecturer at Blackhat USA. He has lectured for the MSU National Forensics Training Center, which provided digital forensics training to law enforcement and wounded veterans. He teaches a self-designed course on reverse engineering to students at Mississippi State University, using real-world, high-profile malware samples, as part of gaining National Security Agency (“NSA”) CAE Cyber Ops certification for the university. Wesley graduated from Mississippi State University’s Department of Computer Science and Engineering and the Distributed Analytics and Security Institute. 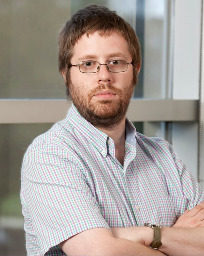 He holds a Ph.D. in computer science for his research in vulnerability analysis of SCADA HMI systems. 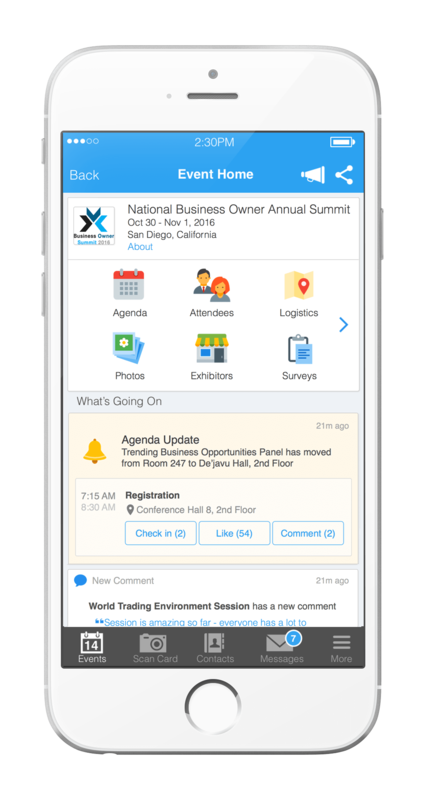 Attendees please download Whova event app, to access the information of all 5 speakers.